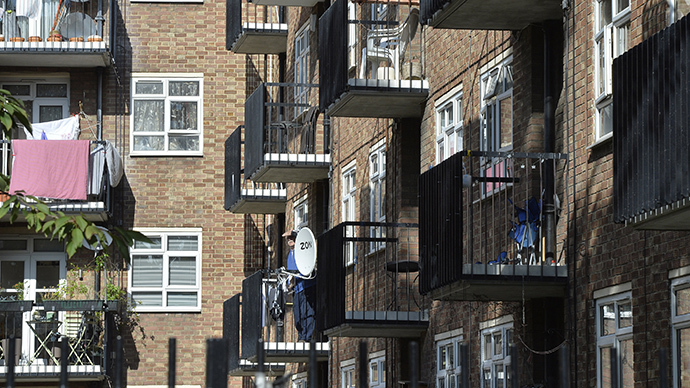 The report by Raquel Rolnik, UN special rapporteur on housing, who made a research trip to Britain last August and September at the invitation of the UK government, looked at housing provision and was published in full by the UN on Monday. Rolnik repeated her call, issued at the end of her visit, to scrap the controversial bedroom tax because it negatively “impacts on the right to adequate housing and general wellbeing of many vulnerable individuals and households.” The so-called ‘bedroom tax’ is the part of welfare reform that will cut the amount of benefits that individuals can receive if they are considered to have a spare bedroom. The report concluded that the structural shape on the housing sector has changed to the detriment of the most vulnerable,” and it called on the government to invest more in social housing. Britain’s previously good record on providing housing was being eroded, the report concluded. olnik, who is a former urban planner from Brazil, visited council estates, food banks, homelessness crisis centers and housing association developments in Belfast, Manchester, Glasgow and Edinburgh. The report’s publication has resulted in a venomous response from the government. "This partisan report is completely discredited, and it is disappointing that the United Nations has allowed itself to be associated with a misleading Marxist diatribe,” said Kris Hopkins, the housing minister. A spokesman for the Department of Work and Pensions was also critical of the research carried out on Rolnik’s 12 day trip to the UK. “This report is based on anecdotal evidence and the conclusion was clearly written before any research was actually completed,” said the spokesman. Professor Aoife Nolan a human rights law expert told the Guardian that the government would not be forced to act on any of the report’s findings but that it would be used as a tool by groups seeking a change in the unpopular policy. “The Special rapporteur is not putting forward an alternative Marxist vision – she is simply highlighting where current government policies are not compliant with the international human rights standards it [the government] voluntarily signed up to,” she told the Guardian. The shadow housing minister Emma Reynolds promised to scrap the bedroom tax if Labour are elected at the next election. “Labour has called on David Cameron to reverse his unfair and unworkable bedroom tax because we can see the impact it is having on hard pressed and often vulnerable people, the majority of whom are disabled,” she said.